노르웨이의 하·폐수처리 회사인 미바노 에이에스(Mivanor AS)는 2019년에 유럽 시장에서 자석 입자 분리(MPS; magnetic particle separation) 기술을 출시할 예정이며, 오는 11월 아쿠아텍 암스테르담(Aquatech Amsterdam)에서 전시할 예정이다. ‘미바매그(MivaMag TM)’라는 이 프로세스는 2015년 로버츠 타라스(Robert Tarasz)의 수석 기술자가 처음 개발했으며, 자력을 사용하는 기계식 수처리 기술이다. 기술에 자석을 사용한다는 것은 슬러지가 탈수되는 것과 동시에 오염물질이 하·폐수에서 제거됨을 의미한다. 추가 급수장치용 필터는 필요하지 않는다. 하·폐수처리는 30∼40%의 건조물질만으로 구성된 슬러지를 생산하므로 처분을 위해 수거하고 운반하는 것이 더 쉽다. 지금까지 기록된 결과는 ‘미바매그(MivaMag TM)’ 유기오염물질의 50∼70%, 중금속의 25∼95%, 인(P)의 80∼90% 및 부유물질의 70∼90%를 감소시킨다. 이 자석 입자 분리(MPS; magnetic particle separation) 기술은 기존 시스템에 맞게 모듈로 구성되며 현장 설치가 가능하다. Mivanor 팀은 세 가지 산업 분야의 고객에게 12개의 ‘미바매그(MivaMag TM)’ 시스템을 제공했다. 모든 오염 물질을 포함하는 탈수 슬러지가 자기 드럼에서 긁어내린다. 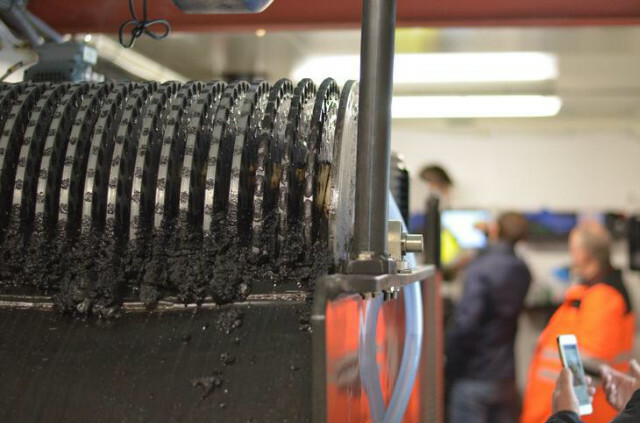 The Norwegian wastewater company, Mivanor AS, is set to launch its magnetic particle separation (MPS) technology in the European market in 2019 and will showcase it at Aquatech Amsterdam in November. The process, called MivaMag, was first developed by the company’s chief engineer, Robert Tarasz, in 2015 and is a ?mechanical ?water treatment which uses magnetism. Using magnets in the technology means that pollutants are removed from the wastewater at the same time as the sludge is dewatered. There is no requirement for a filter for an extra de-watering unit. The wastewater treatment produces a sludge that consists of only 30% to 40% dry matter, which means it is easier to collect and transport for disposal. Results recorded so far show that MivaMag reduces between 50?70% of organic pollutants, 25?95% of heavy metals, 80?90% of phosphorus and 70?90% of the suspended substance. The treatment is constructed in modules to fit into existing systems and allow on-site construction. The Mivanor team has delivered 12 MivaMag systems to customers from three different industry sectors.